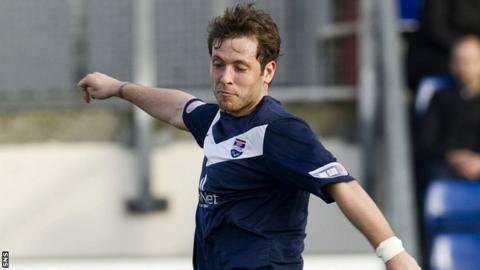 Ross County midfielder Paul Lawson has signed a new contract to keep him at Victoria Park for season 2012/13. Lawson joined in 2007 and helped County win the Second and First Division titles as they worked their way into the top flight for next season. He has previous Scottish Premier League experience from his time at Celtic and a loan spell with St Mirren. "Having a player like Paul in our squad is a major plus," County manager Derek Adams told the club website. "Paul is an exceptionally talented midfielder who in addition to having a great range of passing has a real eye for goal. "He is in the prime of his career and, despite having been a key player in taking Ross County out of the Second Division and into the SPL, I am delighted that he has decided to be a part of the club as we face the next challenge."